A thought: What You See. 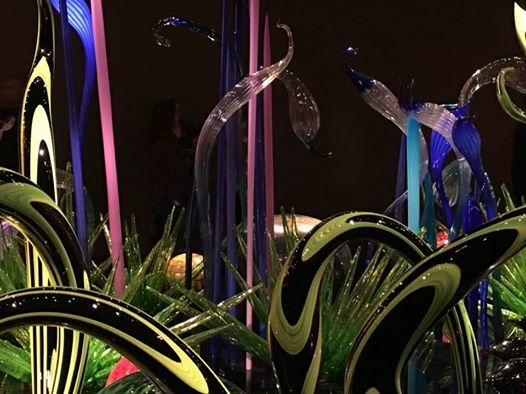 On our recent trip to Seattle, we visited Chihuly Gardens. Inside the exhibit, this piece caught my eye. What do you see? I immediately saw swans floating among the reeds. You, however, may see something altogether different than my perspective. As God made us uniquely, so shall our views in thoughts and perceptions be unique. Embrace your views while being open to thinking of other viewpoints. To be open doesn’t always mean acceptance. It does mean you are not arrogant enough to believe your perspective is the only one that counts. : ) Have a beautiful day and enjoy the sights!